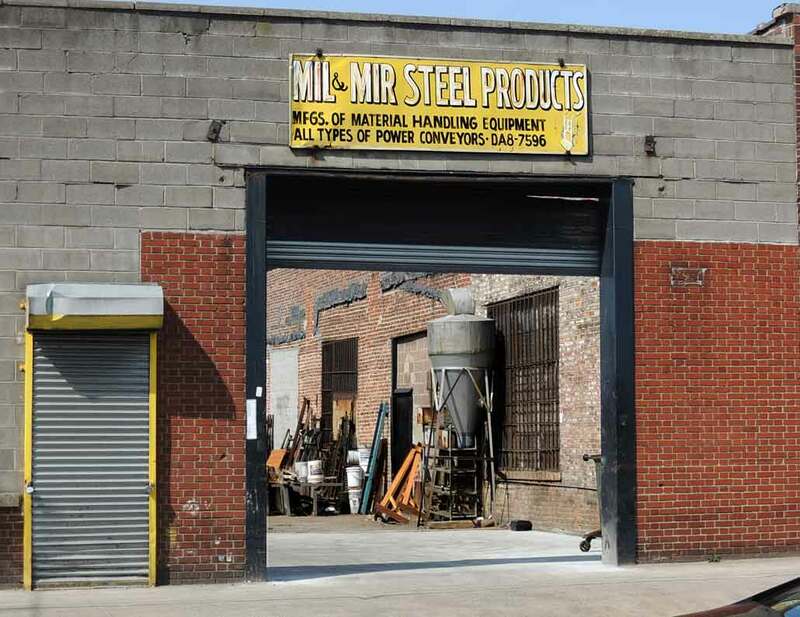 Mil & Mir Steel Products have been in business in the Bronx since 1959. As of September 2016 their website, http://www.milandmirsteel.com/, is no longer functional. Possibly the business closed recently. Mil & Mir were originally located at 632 Worthen St., the Bronx, and the sign above probably dates from this original site. The telephone number, DA8-7596 (DAyton 8-7596), was their number during the years 1959 to 1967 when they were on Worthen St. This part of Worthen St. intersects Randall Avenue approximately two blocks west of 1210 Randall Ave., which is on the corner of Casanova St. The sign above is posted above a doorway opening onto Casanova St. Mil & Mir's later address, 1210 Randall Avenue, dates from 1968 to 2015.